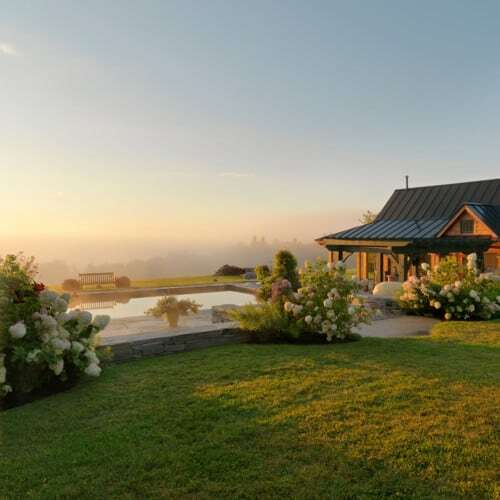 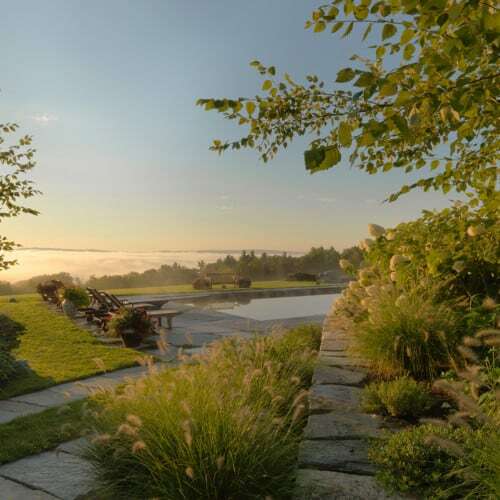 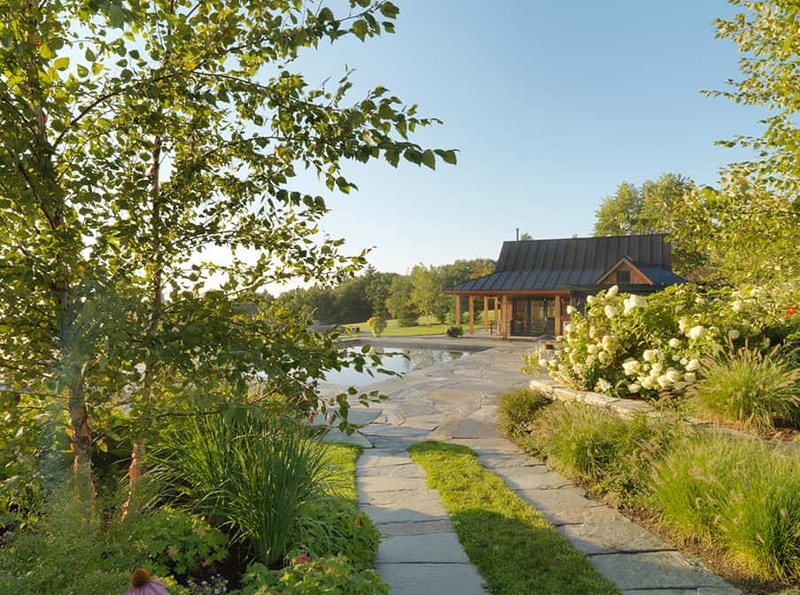 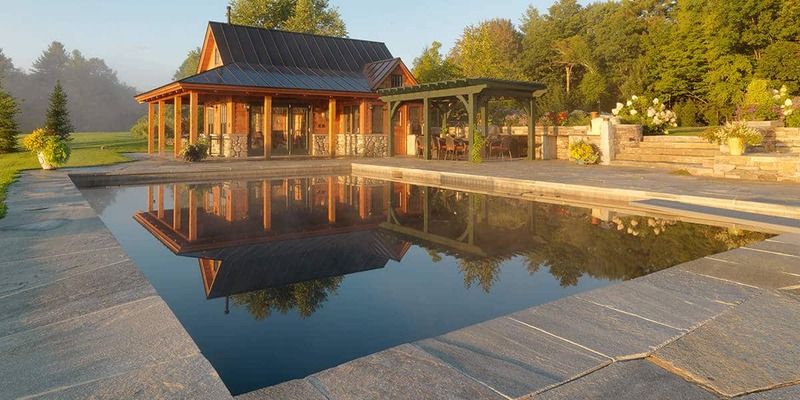 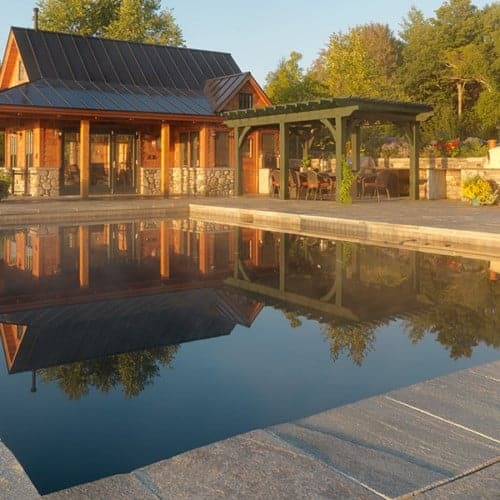 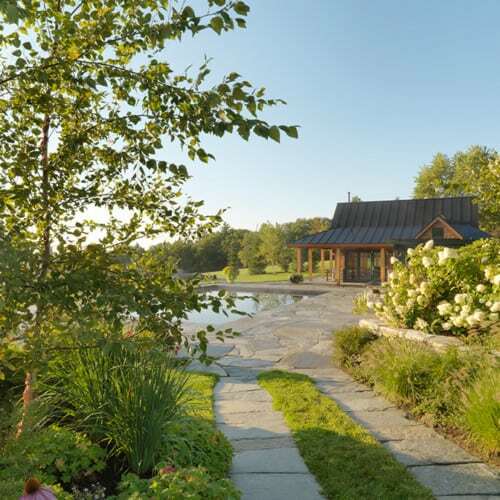 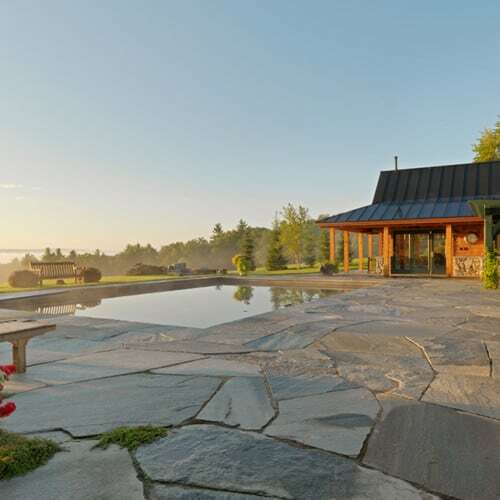 This pool terrace in southern Vermont is nestled into a hillside below the main house with a breathtaking view of mountains receding into the distance. 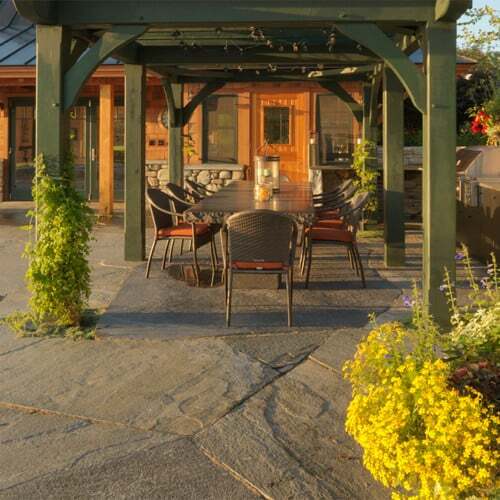 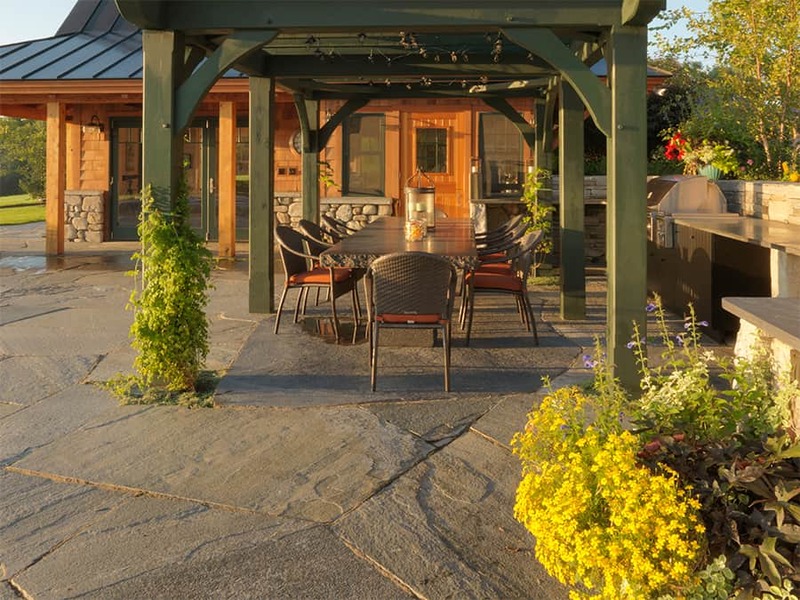 The terrace unites the pool, hot tub, pool house, outdoor kitchen and dining areas, firepit, and abundant planting beds. 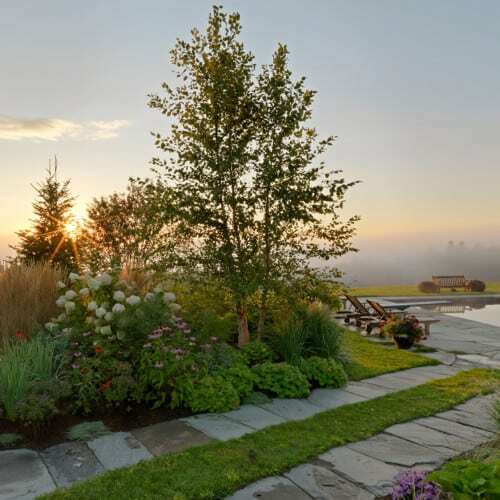 To complement the scale of the view and the house, all the design elements for the pool area are appropriately oversized. 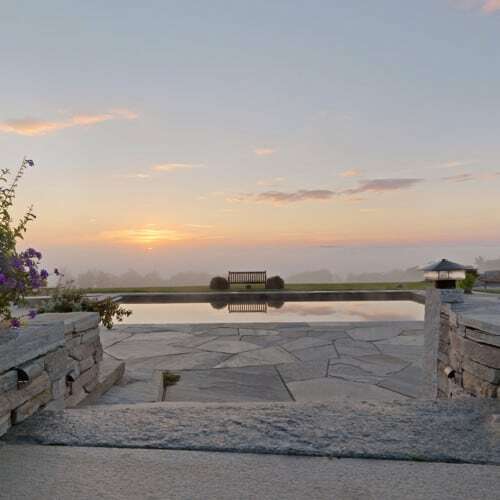 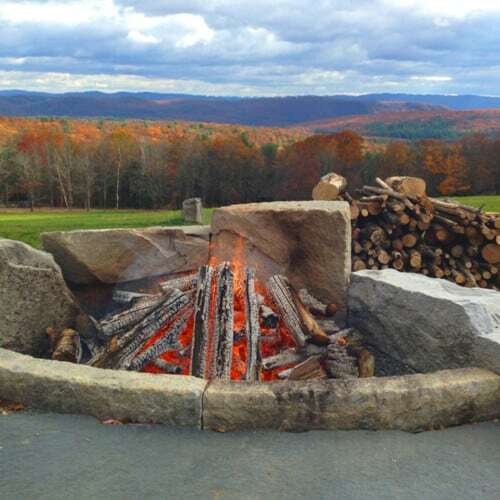 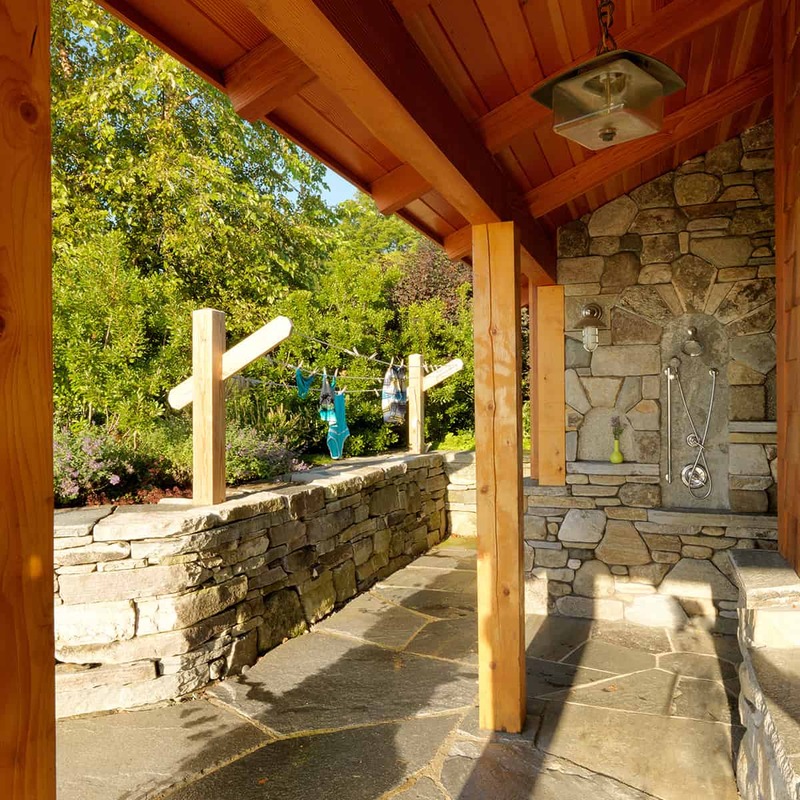 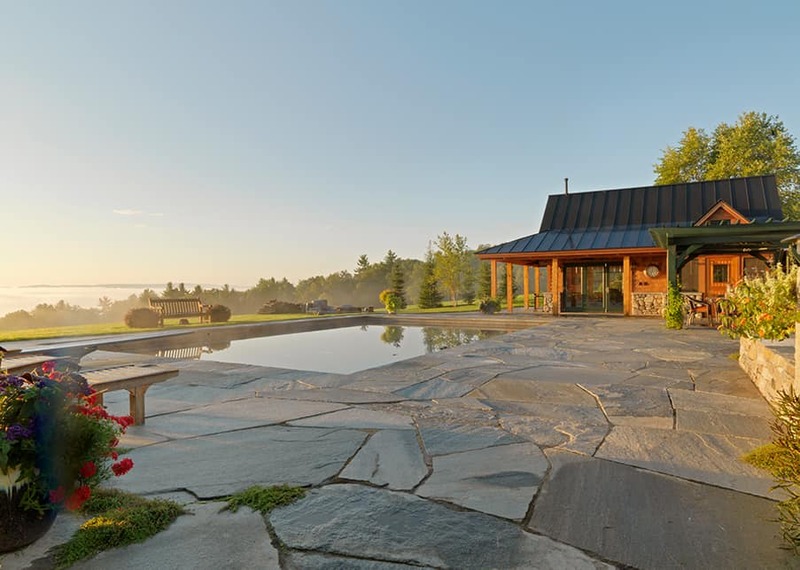 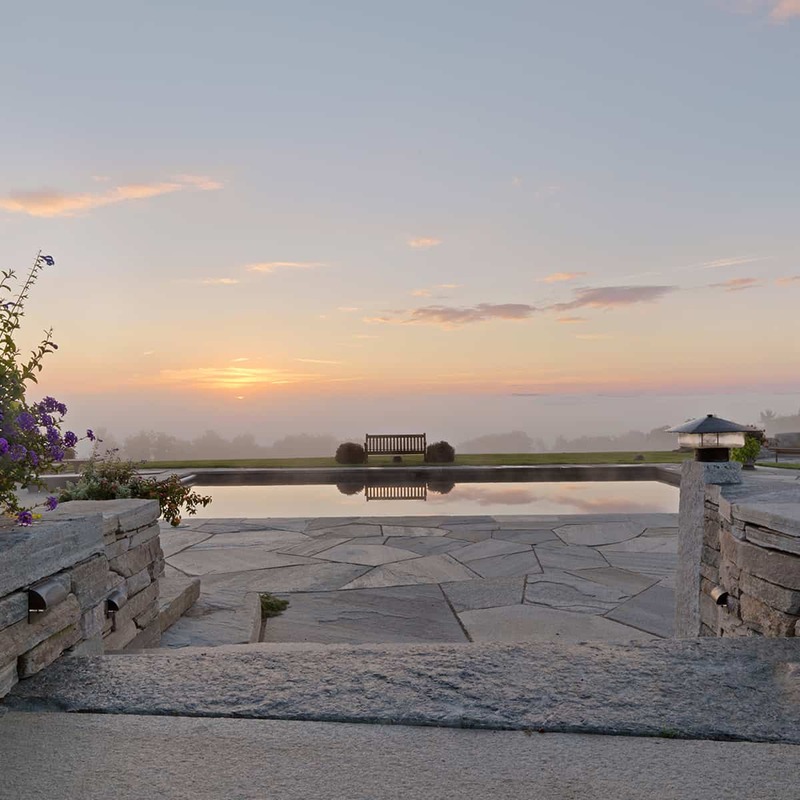 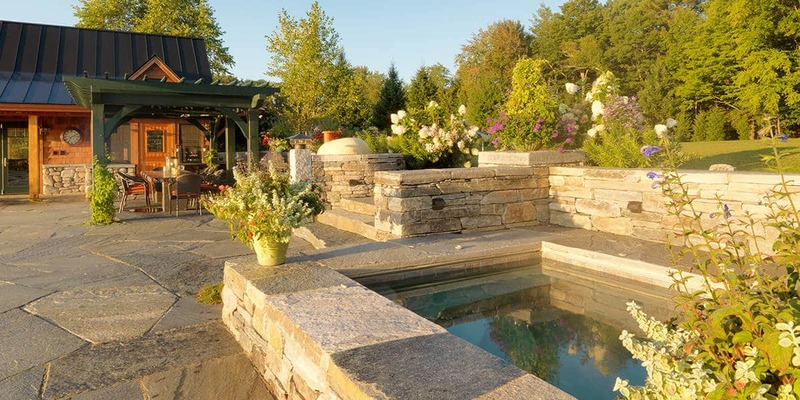 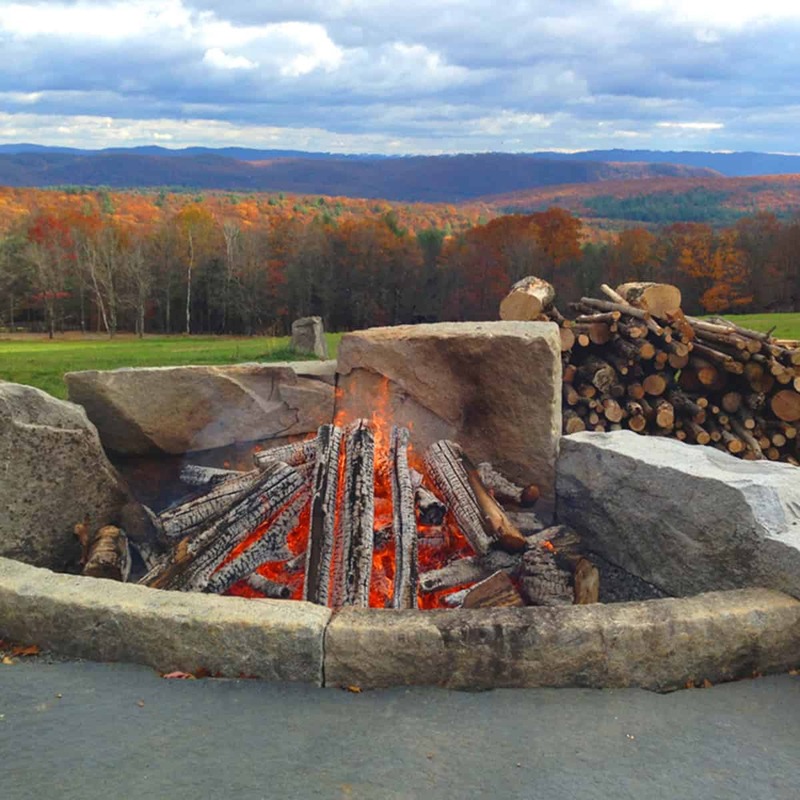 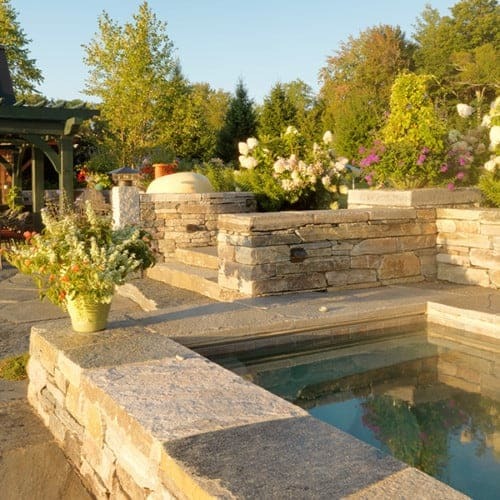 The flagstones for the pool deck are cut from local Chester Stone, a mica schist that lights up in the sun.